Stop it! Stop slathering health altering Body Soaps onto your skin when this perfectly Easy-Peasy Product Guide will have you sudsing up with a Non-Toxic Body Wash you’ll love. You’ll be all, “Why didn’t I do this sooner?” I don’t know. Why didn’t you? The Environmental Working Group rates products according to their toxicity to the human body. 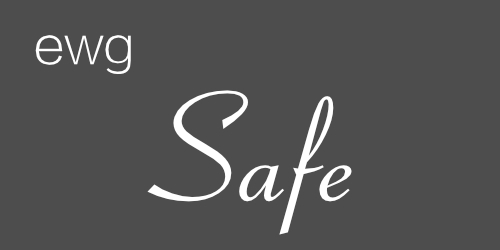 Each Blissful Miss guide begins with products rated safe by EWG. Products are rated 1 through 10, with 1 being the safest. Products are cross-referenced with human reviewers on Amazon, who have tried them, love them and rated them with a super awesome 4 stars or higher. Next, products are checked on Fakespot as well, to ensure that only products with real and honest (not paid for) reviews are recommended here. A Fakespot Grade of "A" is the most trustworthy. You don't need a degree in Nasty Toxic Ingredients. You don't need to spend hours researching. Quickly and easily find a nontoxic body wash that will get you squeaky clean on the outside without adding nasty toxins to your insides. It’s easier than you think, because Blissful Miss has done the research for you. Whatever ails you, your new favorite body wash is here waiting to be found! Get silky clean without stripping your skin of natural oils. Use less moisturizer after showering with this uber popular body wash.
Reviewers love the foamy lather while breathing in the yummy scents. BONUS! Alaffia helps relieve the cycle of poverty in Togo and empowers West African communities to become sustainable. Read about it in the Amazon description for this product. Doesn't irritate or dry out skin. Skin is silky smooooth! A husband and wife using the Unscented, both saw a notable improvement in the softness of their skin within 3 weeks. A Vanilla Mint reviewer, who is allergic to artificial fragrances, loves that she can use this scented natural body wash.
A Lavender reviewer says it smell amazing, definitely like real lavender and not too overpowering. It also doesn't irritate her eczema. A self proclaimed "man's man" (you know ... hunts, eats a lot of meat and has a beard) ... LOVES showering with the Coconut scented Alaffia. Makes his man skin "silky smooth" and less dry. Highly recommends it to all manly men out there. If you’ve got acne, eczema, extra dry, extra sensitive skin and such … give this one a try. Calms and soothes “troubled” skin. Scent is "absolutely to die for". Cleans skin without drying it out. Great for troubled skin and smells far better than other "troubled skin" options one reviewer grew up with. A user with VERY sensitive skin says no other "sensitive skin" body wash she has tried compares. Doesn't irritate or leave her feeling itchy. Skin is soothed and so moisturized she doesn't need lotion. Get a "spa experience" with this yummy smelling, skin softening, luxurious body wash. It's award winning, too . . . Natural Solutions Magazine's "Beauty with a Conscience Awards". The all natural "Olivander" scent is made up of Mandarin Orange Oil and the Essential Oils of Lavender and Chamomile. The container is pretty sleek as well. Comes with both a pump for easy dispensing, and a second cap that seals tight, making it ideal for travel or long term storage. Great for those with allergies or sensitive skin. 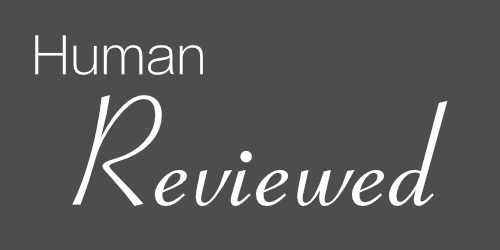 A lot of skin problems, like rashes & bumps, disappeared for a sensitive-skinned reviewer. Cleans without drying out your skin. Made with the superhero moisturizing power of Olive Oil, more than one reviewer said you can skip the lotion after you bathe with this stuff. The label actually says "Made with 100% Virgin Olive Oil". I had to read the ingredient list to fully comprehend this statement. INGREDIENTS: Sodium Olivate (Saponified Virgin Olive Oil), Aqua (Purified Water), Glycerin (from Virgin Olive Oil), Parfum (Fragrance) So ... basically, yeah, this soap is pretty much Olive Oil formed into a little soap bar. And because I've actually washed my face with olive oil (and coconut oil and grapeseed oil) I know the oddness of cleansing with an oil. It's weird and pretty amazing at the same time. This soap also contains Anti-Aging benefits because that's another known virtue of Olive Oil. After bathing you can skip moisturizers. Doesn’t leave your skin dry, itching or feeling like it has been shrunk in the wash. The price for the pack of 12 makes this soap totally worth the money. These bars of soap last forever. Got eczema? Or dermatitis? Or some other frustrating skin “issue”? Many of the all-natural products on this list might fix what ails you, but this one is specifically formulated for such things. It’s even got the National Eczema Seal of Acceptance. Use it on your face too! A long time loyal user says her husband’s Eczema has never been under better control. A Lichen Planus sufferer, whose whole body was breaking out is now break-out free. A reviewer with Seborrheic Dermatitis is thrilled that this body wash does not irritate her skin. Takes off eye makeup too! If you’re pregnant, you might just adore this refreshing body wash.
And then you and your whole family might adore it long after baby is born. Formulated with nausea settling Ginger and uplifting Lime & Grapefruit. Pregnant moms agree that the fresh ginger grapefruit scent really does help ward off morning sickness. Many moms go on to use it for their whole family after baby is born. One mom even uses it as a conditioner for her and her toddler's hair. The scent is outstanding and a real pick-me-up. Gently clean and get all soft & silky while maintaining skin’s natural pH balance. Love It Or Your Money Back … can’t really beat that! Doesn’t burn or sting the cracks in the hands of a super sensitive eczema sufferer. Yayyy!!! Only product that doesn’t make another reviewer’s skin break out in a rash and she loves the soft & silky feel of her skin. The liquid is rich and thick, and a little goes a long way. Banished the dry, itchy, winter skin of a user, who no longer has to slather lotion on after a shower. People flat out LOVE this body wash. Pink Himalayan Sea Salt naturally exfoliates, hydrates, and balances your skin. Reviewers can't go on enough about the amazing scent, which one describes as "a blend of citrus with a hint of ocean and just very refreshing". Great Lather ... unlike some natural products. Cost effective because a little goes a loooong way. 2 Bottle "Value Pack" also available for far better savings. A dry, itchy chick, who tried a TON of body washes is one happy camper with this body wash. No more itchiness and no need for lotion after. Another reviewer’s sensitive skin was so extreme she could not use any type of soap or body wash ... until now. She, too, doesn’t need lotion after. An eczema suffering user has “fallen in love” … uses this as her body wash, hand soap and face wash. The fresh natural scent is amazing. Oh to describe the unique aroma of this amazing body wash! Warm, spicy, sweet and woody? The scent as spicy honey, genderless, ageless and heavenly. A totally hooked reviewer uses it for her and her family’s hair as well their bodies. Cleared up the cystic acne of both a reviewer and her boyfriend pretty quickly. The amazing scent leaves you smelling good ALL day. Green Tea boasts some serious Anti-Aging and Antioxidant skills. Staying Youthful is about more than the creams and potions you put on your face. Lather up with this body wash every day for a head to toe "boost to your youth"! Reviewers love, love, love the scent. Very moisturizing … leaves you feeling soft and clean. One loyal reviewer bought several for Christmas gifts for friends and family who now love it. Another reviewer with combination dry/oily skin and occasional breakouts looks and feels better with this soap. They also use it in their hair sometimes. Got dry skin? You’re in good company with the users of this body wash.
Moisturizes and repairs dry skin. Frankincense & Myrrh aroma is light and calming. Even prevents premature signs of aging … what more can a person want?! Moisturizes dry skin without the need for lotion. Gentle on skin and leaves no residue.. The Frankincense & Myrrh scent is beautiful, but light enough to not clash with perfume. Get your bath time bubble on with this combo "Bubble Bath / Body Wash"
It’s even got skin revitalizing Anti-Aging stuff in it … SWEET! Crazy itchy-dry skin folks are in love. One woman describes the scent as the most wonderful, fresh, delightful smell. She washes her already clean hands with it sometimes just to breathe in the amazing scent. Reviewers can’t get enough of the scrumptious scent. Described as ... sort of buttery with a light hint of spice ... heavenly ... cupcakes. Lathers super nice and leaves your skin uber soft and silky! I recently started using this body wash and noticed a wonderful difference in the moisture and softness of my skin that I’m totally loving. Yayyy!!! If you like shea butter and cupcakes, this is the body wash for you. 100% luxurious ... makes your skin feel like silk. Skin still smells good at the end of the day. Nice lather and skin stays moisiturized. And while you do all that ... Breathe in the Super Yummy Scent! Mmmmm!!! Smells delicious, light & clean. One reviewer, who has to wash her hands multiple times a day, says her skin felt soft and lubricated from the first use, and no longer feels like sandpaper. Another reviewer has been using this for 6 months with no breakouts. Nourish and soothe your skin with Seaweed, Kukui and Neem Oils. Moisturize with pure Kukui Oil, a totally killer moisturizer that helps soothe dry, flaking and scaling skin. Pure Neem Oil, rich in emollients, helps to protect and moisturize dry, cracked skin. So, basically, this is "the bomb" for super dry skin, but made for all skin types. Great for Sensitive Skin, it can help with Eczema and other finicky skin issues too. Works wonders for dry skin, but a great body wash for all skin types. Leaves skin hydrated & healthy. Pleasantly scented, effective and moisturizing. A reviewer with eczema saw dryness disappear. Says it's quite amazing. Formulated by expectant mothers who wanted to ensure a chemical free environment for themselves and their little one. Belli follows a unique safety screening process to avoid ingredients with known links to birth defects, miscarriages, and harmful effects while breastfeeding. Antioxidant-rich cucumber, green tea extract and lavender essential oil make for a relaxing aromatherapy experience. Ahhh! One reviewer simply describes the scent as a pleasant & light ... while another specifically picks up on the aroma of lavender in the lavender essential oil. Lathers nicely & a little goes a long way. Leaves skin feeling soft, clean & hydrated. Thick, so a little goes a long way. Most importantly, those with skin problems … don’t have skin problems when they use this. Which is nice! A reviewer who can't tolerate scented products says this fragrance-free body wash is the perfect solution. Has a super faint scent that smells very natural & pure. Very thick and lathers well. A reviewer's skin rashes stopped after a few days of using this. Dr. Oz, Dr. Axe and Dr. Mercola all recommend The Environmental Working Group as a great resource for finding safe products like your new favorite body wash. And they're doctors and all! So discover your bliss with safe and totally bomb products, live well, and be fabulous! The safety of products suggested by Blissful Miss is based on the Environmental Working Group rating system. This is not to say that every ingredient in and of itself is considered 100% safe, but combined with several other non-toxic ingredients, that product receives a high rating by EWG. Any product on this list can be researched on the EWG Skin Deep Database for specific details of how each ingredient is rated and what the known concerns are, if any.